Custom T-shirt printing is a popular, eye-catching choice for advertising businesses of all sizes. They’re a unique and much appreciated giveaway and are an easy way of getting attention for your brand. Custom shirts allow you to share countless impressions of your brand while the wearers go about their day-to-day routines. We offer men’s and women’s short sleeve cotton jersey shirts in premium and basic grades to better suit your promotional t-shirt needs. Shirts come in white, black, blue, gray, and red with sizes ranging from small to 2XL, covering the gamut of popular sizes and colors. Let your creativity run free and print on either or both sides of your personalized shirts. Custom t-shirts are popular for promoting new products and as promotional giveaways for special occasions. But shirts aren’t just for promotions and giveaways either. 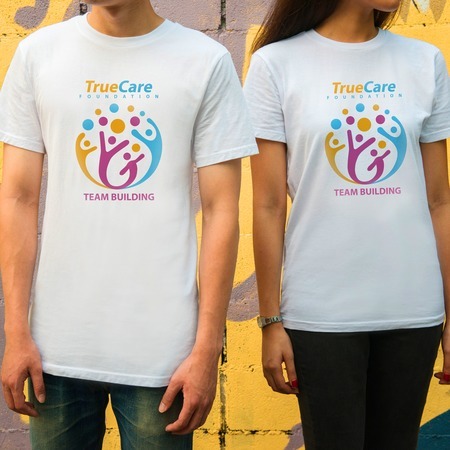 Custom printed shirts are just the thing for company logo shirts, team work shirts, and as a cool way to promote your own business at trade shows and career fairs. Contact us to learn more about your custom t-shirt printing options.